Getting outside into the fresh air always makes me feel better just having time to breath and take it all in. 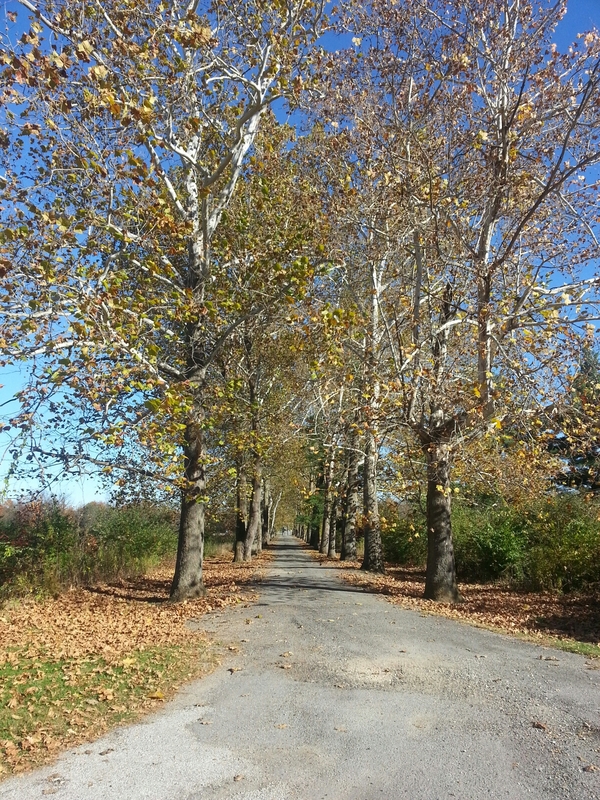 Sometimes its really easy to forget that a simple thing like going for a walk can feel so great. We recently popped up to St Joseph county park, what’s great is amongst the strip malls and drive through places there is also some great green spaces. St Joseph park is massive. You can walk around for hours. nestled in this big park there are several small hiking trails, bike ones, bird watching and in summer kayaking on the river as well as tubbing and xcountry ski-ing in the winter. 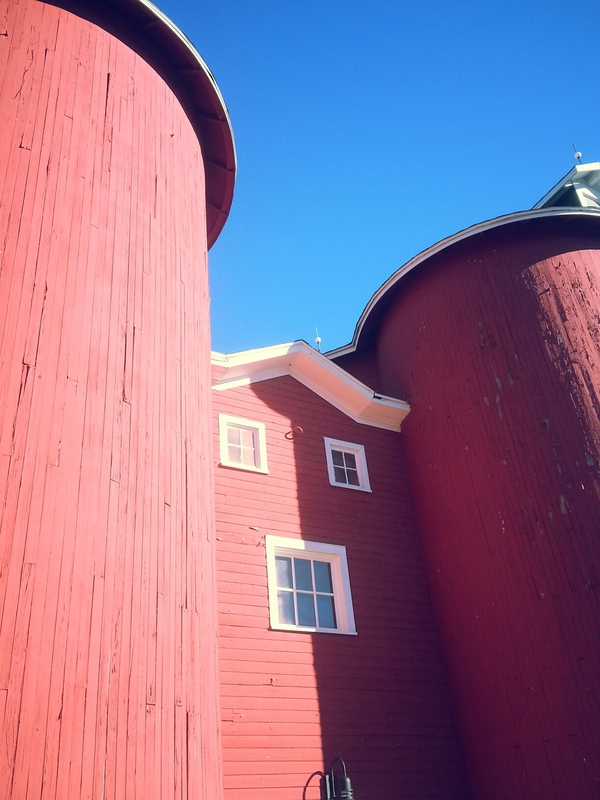 The big red barn, is well big and red, I really liked that it had its own surprised little face. 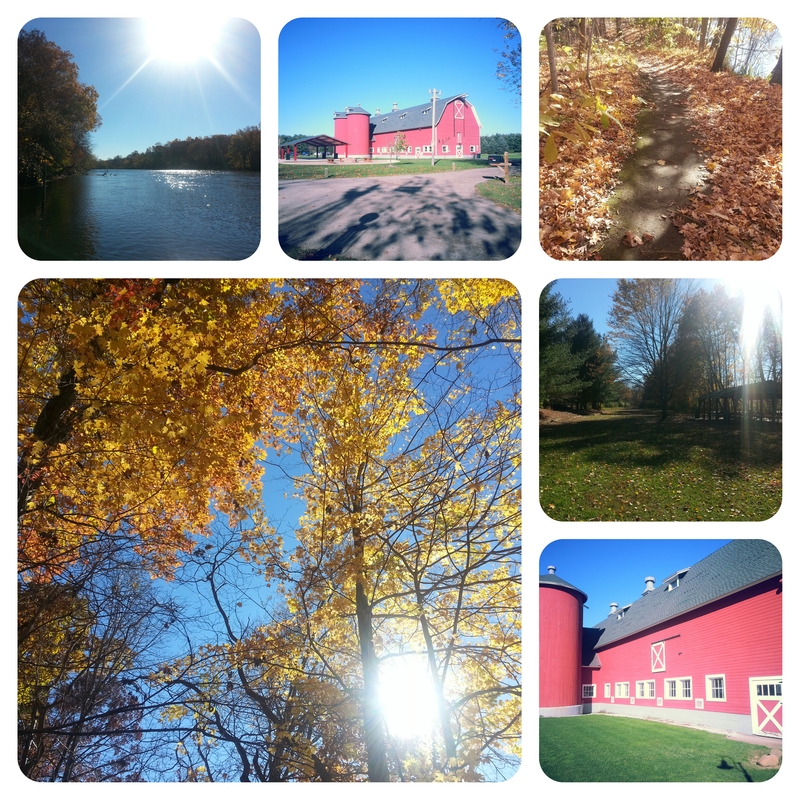 There is also a blue barn next to it that sits on a little lake and is beautiful. I wanted to make it into a house and live there with a row boat for decoration. Kiwi and I looked for turtles in the pond and also wondered what the fish do when winter comes and the lake freezes. We wondered if they knew and swam into the main river, or if they found little air pockets, or if they swam around until one day they freeze.